One evening, I was checking my email before going to bed. No sooner had I opened my inbox, that a new message popped up. It was the CSRI Academy Challenge (the Challenge) results announcement. I delayed opening the email for a few moments, nervous and excited at the same time. Soon after I did, I found out that I was about to travel to London the next day to attend the CSRI Fall Meeting. This was a turning point in my life. Not only did I get to attend the discussions in London, but I also had the chance to spend two weeks interning at the Credit Suisse headquarters, co-author a report on monetary policy, and present it at the World Economic Forum. Having the chance to discuss central banking and its likely effects on the economy with leaders in economic and political thought and the chance to share the working day of bankers was an exciting experience and an intense learning process at the same time. It was a great opportunity to develop my presentation skills by speaking in front of an impressive audience, but also to question my own opinions on monetary policy, as I heard many alternatives on how to think about the issue. What is more, I created valuable relationships on all three trips and was mentored by successful people on how to structure my career path and what it takes to succeed professionally. 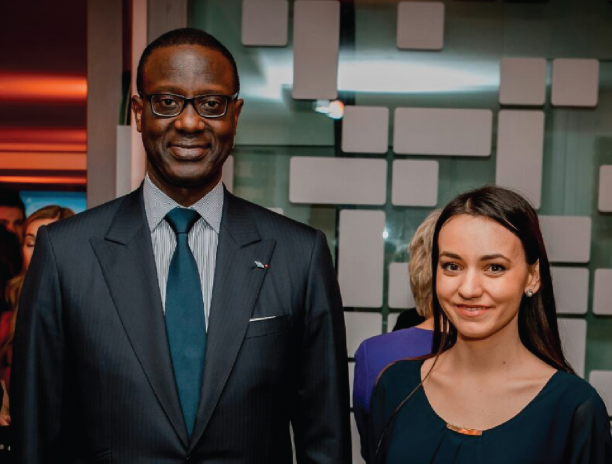 Moreover, I was fascinated to meet people that I had admired for so long – people like Jean-Claude Trichet, Christine Lagarde, Urs Rohner, and Tidjane Thiam to name a few – people who have made it to the top of their fields. At the end of the day, I believe that I won the Challenge because I am not afraid to argue what I believe to be true and I never limit myself to only developing in the field of my major. I was not trying to guess what my readers are looking for; I argued my own opinion and supported it with logical evidence. Additionally, it is worth noting that knowledge of economics was not sufficient to answer the question of whether central banks are creating the next crisis – at least not for a compelling argument. I am a firm believer in the liberal arts system of education, because I think that this style of education was a factor in my winning the Challenge. For example, in addition to economics, I discussed finance, business, social tendencies, and even the psychological implications of central banks’ actions on public confidence. Writing skills also played a part – even if you have great ideas, how you present them is just as important. Writing well was another factor that I believe distinguished my paper, as I was later complimented on my hook. For that reason, I believe it is very important to explore as many subjects outside one’s major as possible. Additionally, taking on internships, participating in competitions, and engaging in any type of extracurricular activities are also key in shaping not only one’s knowledge base, but also the skills that one can draw on both in study and competitions and at work. It is imperative to use one’s university as a springboard to go beyond what is required, rather than to focus solely on studies without applying knowledge in a practical manner. Attending events such as the ones mentioned above can yield similar benefits. It is crucial to build and sustain the dialogue between young talent and the generation of current leaders, professionals, and thought leaders. The only reason is not that one day, the people who are students now will have to take over as leaders and working professionals. I think that in addition, both sides can benefit from exchange of ideas; different generations can offer new perspectives. When you have more to pick from, you can mix and match ideas to create the change you want or help sustain what is working. Furthermore, I believe that it is very important for young talent to be surrounded by successful people. I have come to realize over my years at university that the people I surround myself with can have an impact on my success and what I can achieve. While they are but one of many factors, I now believe that young people should aim to be around those that they can learn from and those that inspire them to strive forward.